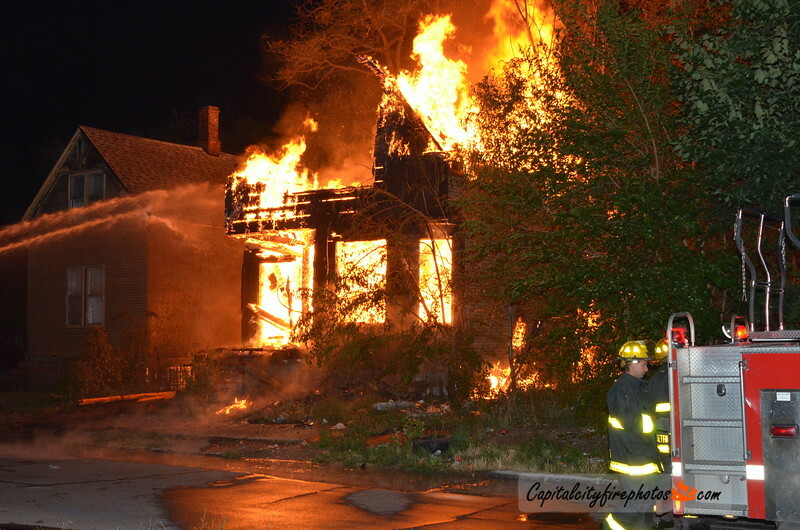 0345 hours – Box Alarm – Beals between Goethe & Mack, fire reported in a vacant dwelling at 3491 Beals Street. Engines 41, 32, 9, Ladder 20, Squad 6, Chief 6. Engine 41 on scene stretching on a fully involved dwelling. Engine 9 dumped their monitor and reported 2 dwellings. Engine 23X assigned for the extra company for manpower. Chief 6 reported he has a dwelling fully involved and companies will be taking a defensive posture.